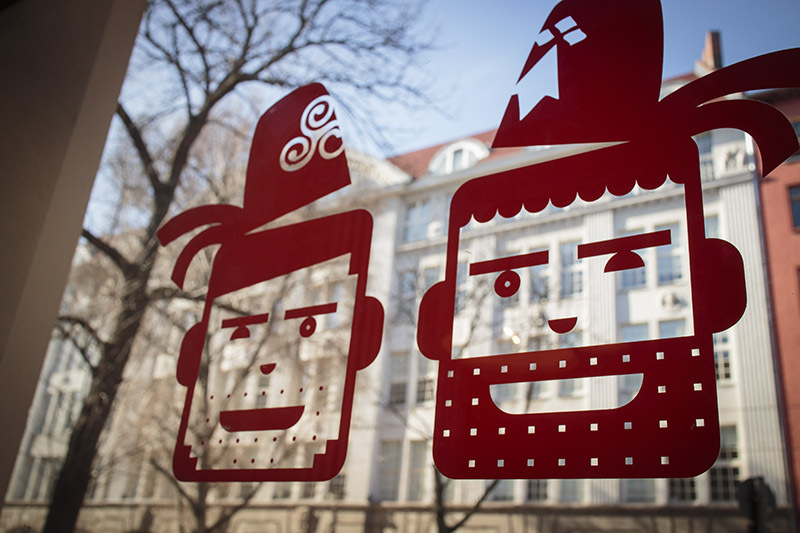 One of the advantages of living in Berlin is that there are lots of parties, events and other such cool/hip things to attend. 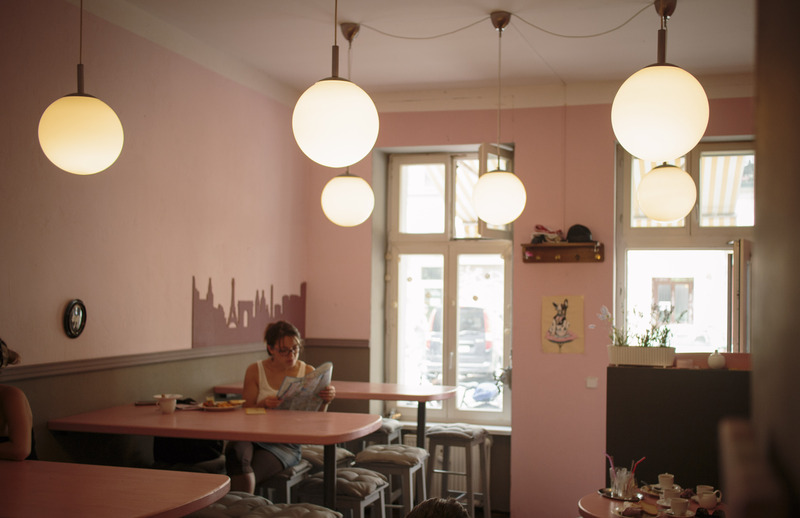 You could literally spend every night of your Berlin life visiting them and never quite see them all. But, one of the disadvantages of being a gluten-less individual is that you cannot really attend any of the food based ones, or if you do, you just have to sit, sniffing, hungry and sad in the corner. But, thanks to my friend Kate over at Sole Satisfaction, I discovered that Das Brunch is actually quite gluten free friendly. In that all of the food on offer is 100% gluten free with the only stipulation that you have to ask for gluten free bread with your order! The only downside is that Das Brunch does not happen all that often (there have only been three in the past 6 months). But, enough of all that, you want to know about the delicious food don’t you? You want to know if it’s worth keeping watch and finding out when the next one is? Well, look at this menu. 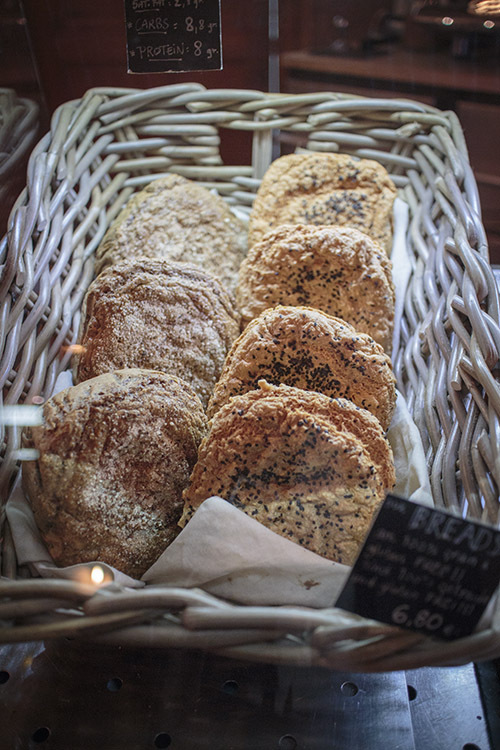 That’s right, three options, all available gluten free with bread from Jute Backerei! I plumped for the first (with both sausage and bacon, because, why wouldn’t you?) and look what arrived. It was so good, just as amazing as it looks. Now here is where I came across the only slight wrinkle in an otherwise great experience. The meal came with regular gluten bread and only after I double checked with them did they point this out (always, always, always double check!). Now, it wasn’t an issue, she apologised and went back to have it changed. I’m not sure if they simply misheard me when I ordered or if there was a mixup in the kitchen, but I don’t think it was their fault, just a regular plain old accident. They change the venue each time, but on my visit it was the CFL Canteen, which was pretty great. They even had an oyster bar at the back. In conclusion, I’d definitely recommend a visit next time they appear. Keep an eye on their facebook events page for the next one! 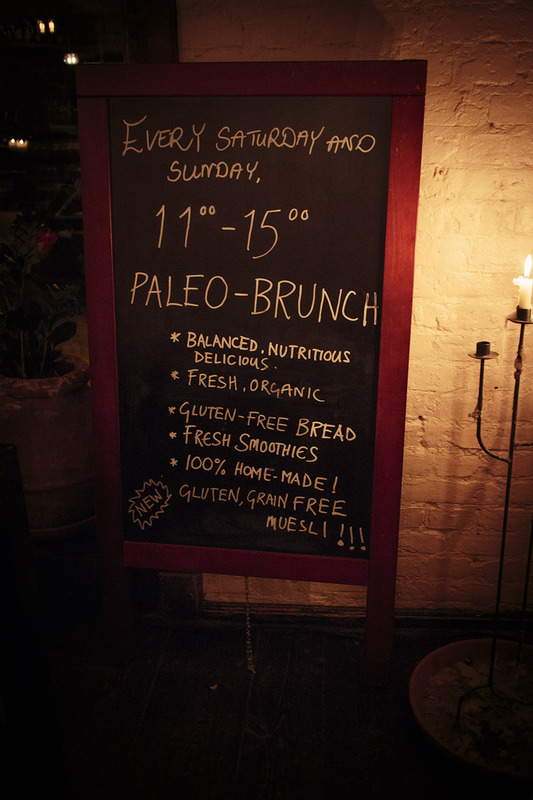 Before I moved to the great city of Berlin, I had absolutely no idea what a Paleo diet was. In my rather small and parochial hometown we were rather unlikely to ever hear about the concept of a Paleo restaurant, never-mind getting one. Then back in 2010, Sauvage happened. Out of the blue I found a diet that just happened to completely align with my various aliments and allergies. Perfection! Since then we’ve had a second Sauvage with their delicious breakfasts. And up until recently the pair were the only 100% completely gluten free restaurants in the city. Thankfully though, Paleo is a rather popular diet, and we did not have to wait too long until the second opened up, Eat Performance. Now, before we start on the review proper. I have to warn you the place is a little hard to find. To start, this is the view of the main entrance from the road. Not your average entrance to a cafe/restaurant. I walked right past on the first attempt and it took me a while before I even noticed the sign on the right of the picture. But, get a little closer and you’ll see this. Well, at least I know I’m walking in the right direction (although, I have been back and the banner thing wasn’t there). Inside the (rather lovely) courtyard, you find the actual bistro! Not the easiest to find. But certainly not the hardest. Before I went, I had no idea what to expect from them. 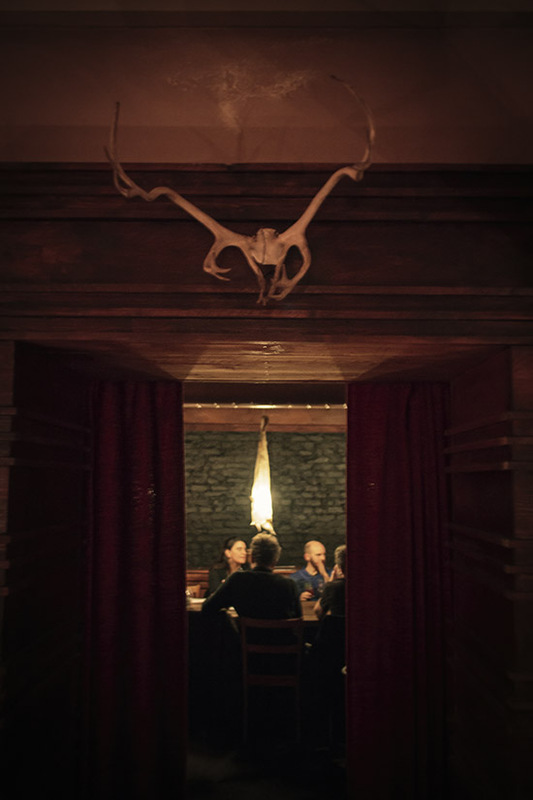 Was this to be fine dining a’la Sauvage? Well, probably not with the bistro title. But, you never know! Inside, it’s rather nice, if a little sparse, and there’s plenty of room. The menu gives you a pretty good run down of what they offer. ALL GLUTEN FREE!! EGGS! BURGERS! SANDWICHES! Oh my. Plus, there are plenty of little treats to buy. I ordered myself just a sandwich (well, it’s not like I get to do that often) and my friend ordered the baked eggs. Now, it’s at this point I had my first disappointment, the sandwich was not something made to order, not something which came with a side salad or such. But, it was one of the pre-made sandwiches from the fridge, albeit heated. It was a surprise. But I think more due to my expectations. 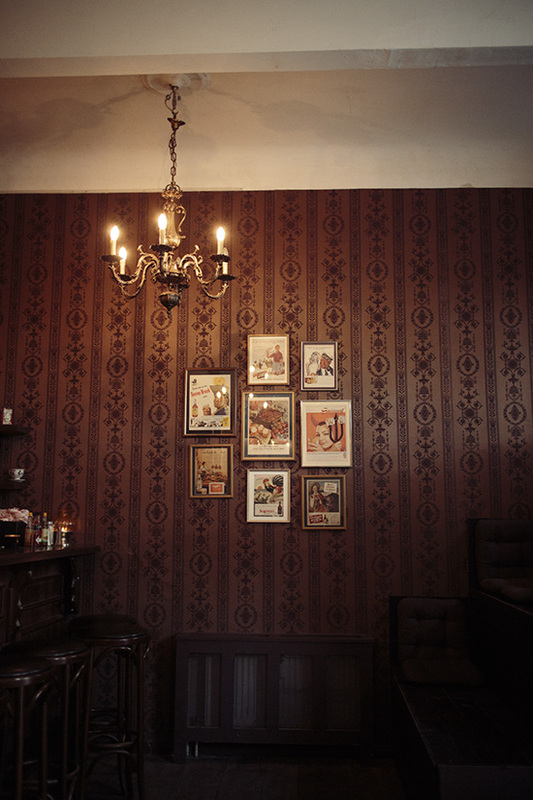 My feeling is that there’s a part of the menu that is aimed more at the working quick lunch crowd and the rest (burgers and such) is more aimed towards sitting in. This isn’t a problem really though. Infact it’s great, if I worked nearby it would be a miracle. 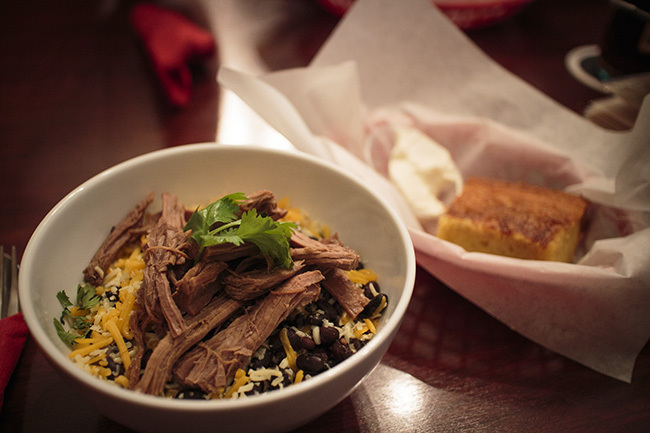 It’s what you’d get from a regular lunch bistro, like a normal gluten person. But, the sandwich was roast beef, and how on earth could I turn that down. Yum! It’s not the best sandwich I’ve ever had (it’s no Friedman’s Lunch in New York), but the bread was rather good. I’d probably say it’s my favourite bread I’ve had in Berlin (including Jüte, the gluten free bakery), but then, I am a fan of chestnut bread anyway. The baked egg dish looked a little better than my sandwich, and from my friends reactions, tasted rather good too. Their smoothies are great and I had myself a beetroot filled one. (I can’t stop stuffing my face with beetroot, I may have a problem). I have visited once since then and tried one of their burgers. Look at it. 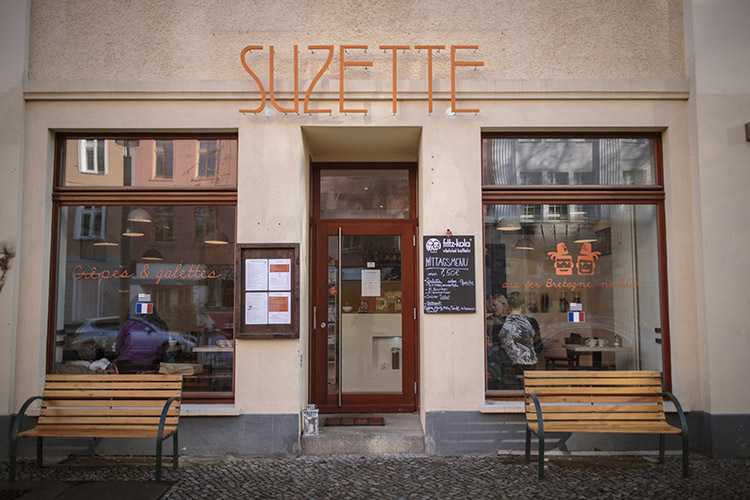 Easily, very easily, the best gluten free burger I have had in Berlin. I would highly recommend you go and try one. The only other downside is that their service is rather slow. It was pretty empty on both of my visits and the food took quite some time to arrive. If it was busy, I would be concerned. Hopefully this is just growing pains and they will improve soon. In conclusion. Yes, go and eat there, even if just for the burger or the delights of buying a quick takeout sandwich/salad like a normal person. Ps. 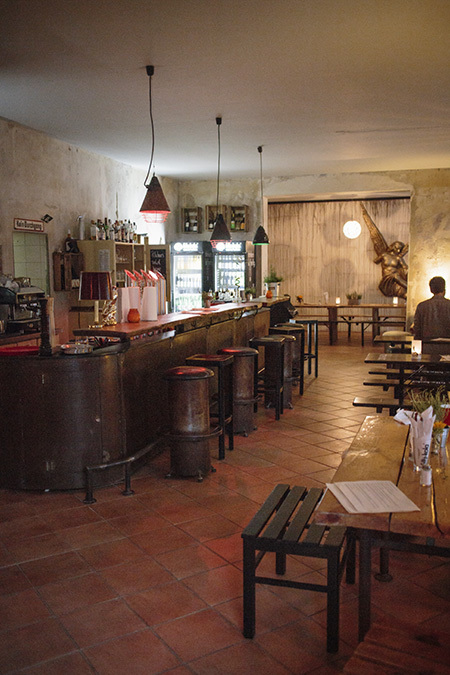 they do have a second location in Schöneberg which I’ve yet to visit. I’d expect it to be just as good though. It’s a tough life living with an aversion to all things gluten. 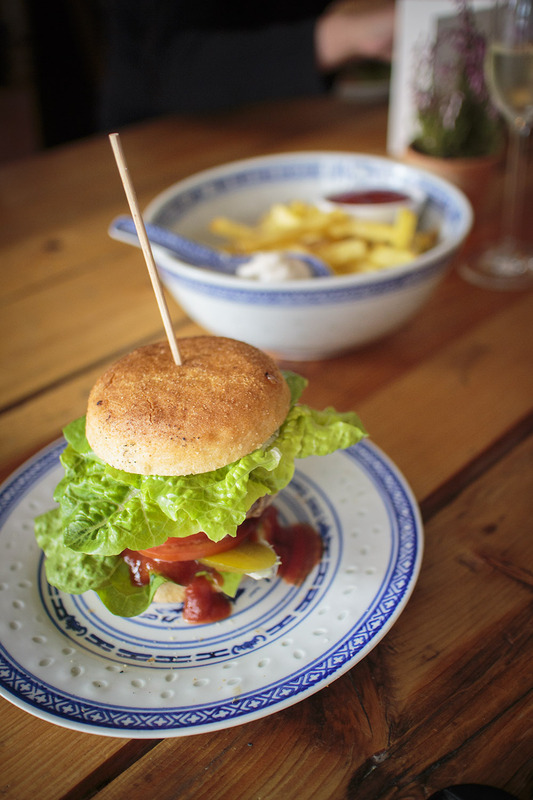 Especially when the city you live in goes through a burger renaissance, with burger joints popping into existence all over the city, with a myriad of blog posts reviewing which of all these burger options is the absolutely bestist one ever! All the while, with me crying into my limp Schaer bread and equally limp home made beef patty. Fortunately though. One of these new burger joints, Black Cat, actually took it upon themselves to provide us with a Gluten Free Burger! Rejoyce! Now, it’s worth pointing out here that they did have a couple of stumbles at first. I don’t think they initially realised what they were getting into and just what was required to provide a true gluten free burger (as opposed to just serving people who’d prefer gluten free bread over regular bread). On my first visit, I was told that their soy sauce infused mayonnaise contained no gluten. Only after suggesting they go and read the soy sauce bottle did they realise such things contained gluten. Plus, I did suffer quite a bad reaction to that first burger. But, after speaking to the owner and helping them out with a few pointers, they really picked things up. They introduced a new policy in the kitchen to make sure cross contamination was as limited as possible and they now use gluten free soy sauce. All of their staff seem well trained and the many times I’ve been back since, I have never suffered a reaction. They do explicitly point out that they cannot guarantee completely 100% gluten free, but they are as careful as you can get in a kitchen which also prepares poisonous gluten based food in close proximity. 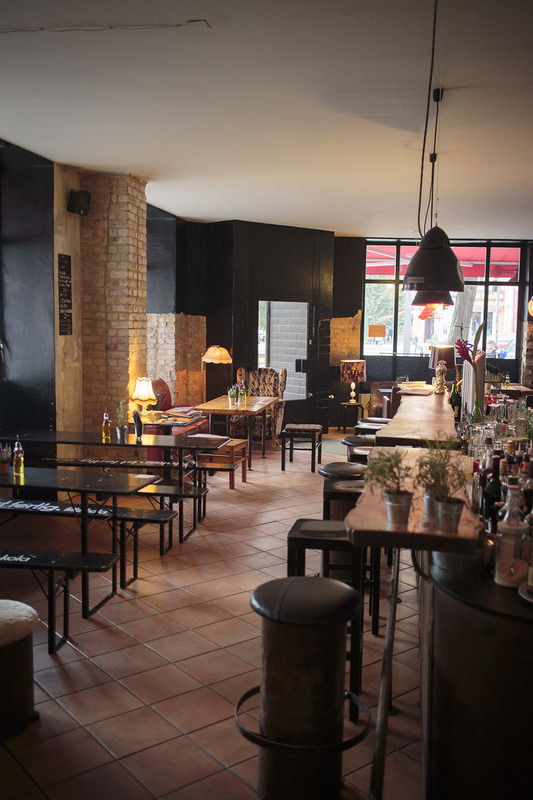 The place itself is rather nice, with plenty of space and a good large table in the back, perfect for parties. After the number of gluten free restaurants here that have about 10 seats, it’s a rather welcome change. But, I can hear you screaming, what about the food!! Well, first, have a look at the menu. Look at that, a big ol’ Gluten Free section just for us. On the back they have a few drinks that we can drink. I plumped for a ‘Magnus’ cider, a typo on the menu I believe as this turned up. Ok, enough of this waffle. I know what you came here to see. Look at it! An actual gluten free burger! I’ve been back a few times now and they’ve been using a variety of buns. After the one you see above they had buns from the local gluten free bakery, Jüte, for a short time. Now it looks like they’ve moved to using Schär buns. The buns don’t make a huge amount of difference really. The fact that it’s a burger is pretty damn good on it’s own. Now, I’m going to be honest, it’s probably not the most amazing burger in the world (I’ve had far better in New York), but it is good (especially the Sweet Cat) and well worth the trip. 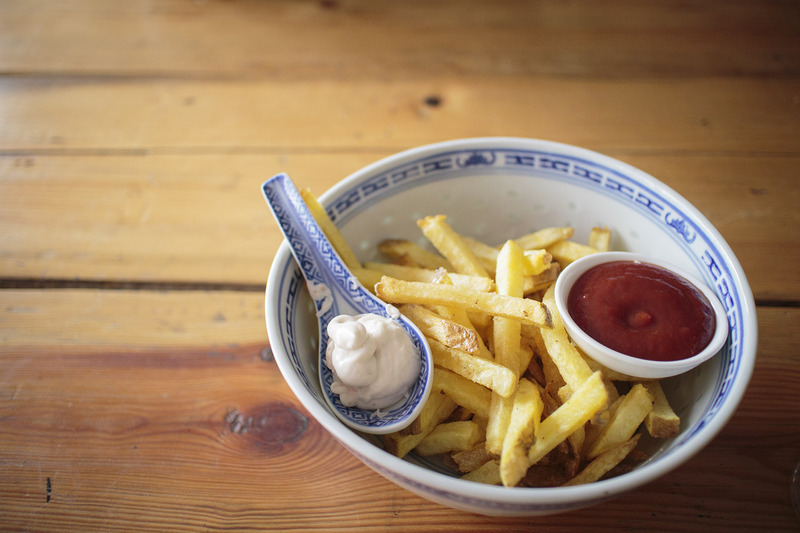 Plus, their fries are rather delicious and made from actual potatoes (yes, the fries situation is so bad here in Berlin that it’s actually worth me pointing that out). In conclusion, should you visit? 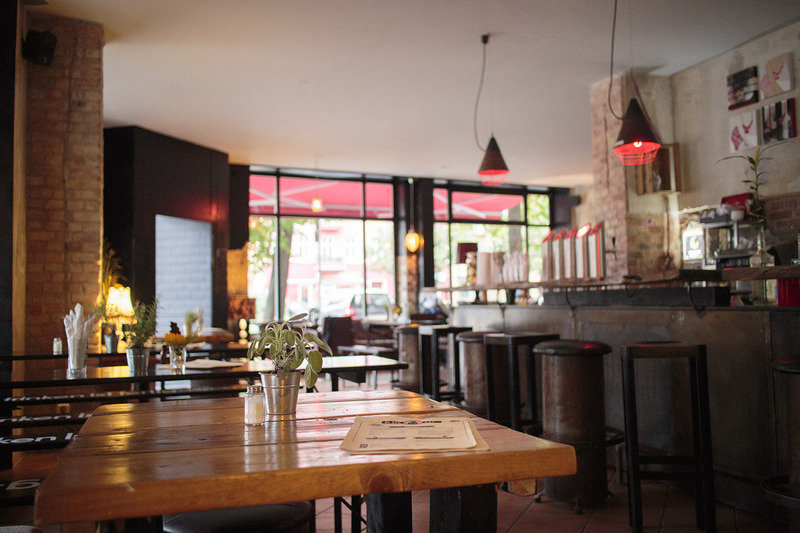 Yes, it’s a proper burger and fries joint in Berlin that serves gluten free food, do it! Now, granted, I chose a bit of a mismatch selection for my first brunch plate. I just piled as much as I could onto the plate so you, my dear readers, would have a little view of everything (honestly, I wasn’t just trying a little of everything and stuffing my face). The quality and selection has rather improved since my first visit. Especially the little tiny cupcakes, they are amazing. It’s still worth getting there early (or late) as there are limited seats and the food gets snapped up pretty quick. Fortunately though the seating situation has improved some. Look, lots of places to sit and eat as much as is humanly possible! Now, onto their new Gluten Free selection of cakes. The one on the left (Tresor I think) is rather ridiculous and should definitely be eaten, although you may not be able to eat anything else for the rest of the day or week. I’m pretty sure that says “Perverse Chocolate Cake”, which is delightful. The big advantage is that they always have these little fellas on offer. Glorious! 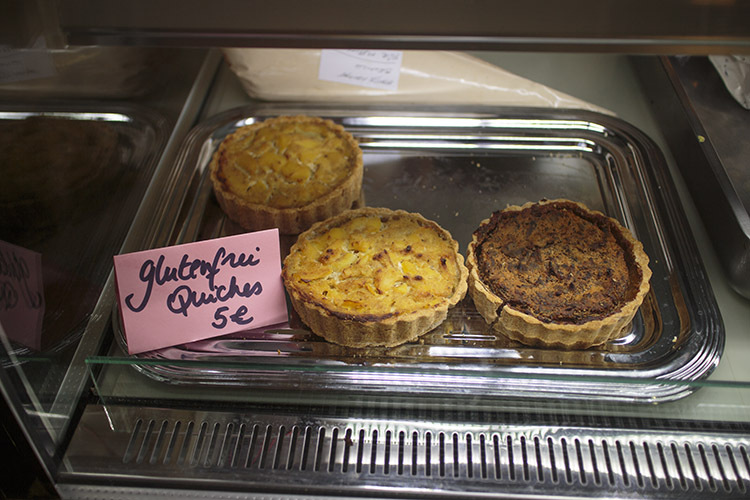 You can drop by anytime, eat a quiche and stuff your face with sweet treats. Happiness indeed. 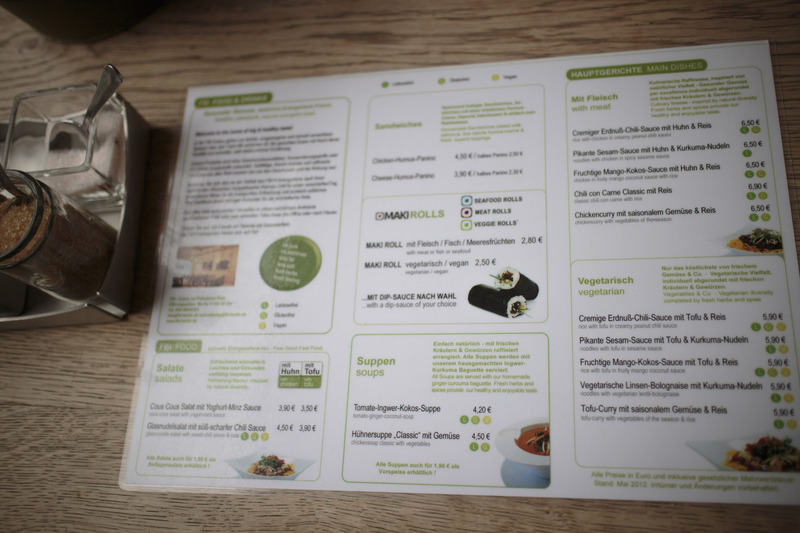 Plus, they also offer a deal with Salad/Soup for an extra €2.50. In conclusion, if you haven’t visited here yet, you’re probably a bit loopy and you need to resolve this issue. Get down there now! Click the banner below to see all the details of this restaurant on our sister site, Allergy Explorer. It’s tough to write for a gluten free blog when you’ve written far too many restaurant reviews. There are only so many ways you can say “they serve food, it is good, you should go!”. It is especially hard when the restaurant you’re reviewing is just a down to earth regular lunch place. Nothing fancy, not the most amazing food, just quick, simple and cheap. But I guess that is what you want from a gluten free meal sometimes (at lunch probably). Especially when you’re a tourist wandering around Potsdammer Platz, which, fortunately, is where the FBI Eatery is situated. This is about the total of their menu. Nice and simple and well labelled. The little L G and V symbols denote Lactose Free, Gluten Free and Vegan. Luckily for us, there are quite a few G’s splattered around. On my visit I plumped for a Chicken in Mango Coconut sauce (I’m a sucker for fruit and meat combos). Well, look at that. It looks pretty good right? Well, yeah, it was good, good enough at least. 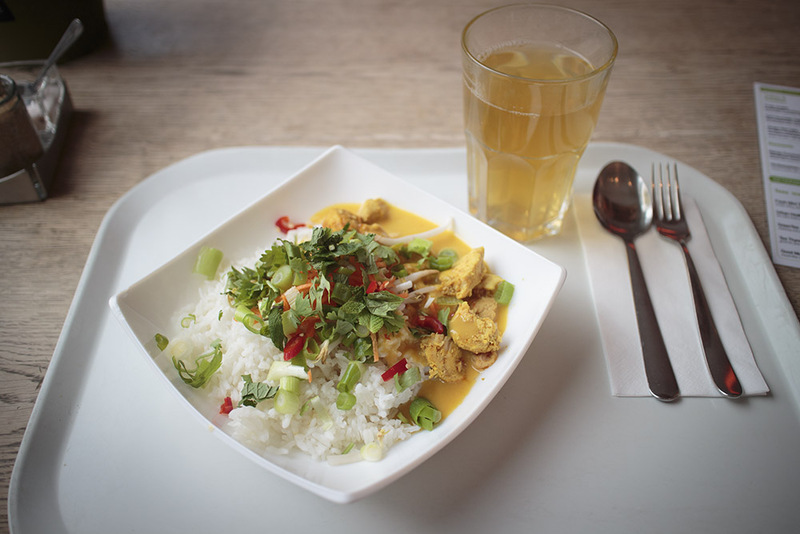 It was exactly what you want from a €6.50 lunch, healthy-ish and tasty. The only disconcerting aspect is that my green tea came as you see here. Not a tea bag in sight, but it tasted good so I can’t complain. The staff were a little non-plussed at my gluten free confirmation questions, but assured me that everything marked as gluten free was gluten free. I had the option of choosing the toppings on my meal, so that made things a little better. Still, a little more certainty would have helped. It can be hard to tell whether staff isn’t giving your questions the weight you think they deserve because they’ve heard them many times and know everything is gluten free, or whether they just don’t care. The only downside of the place is that it can get rather busy with the local business lunchtime crowd. 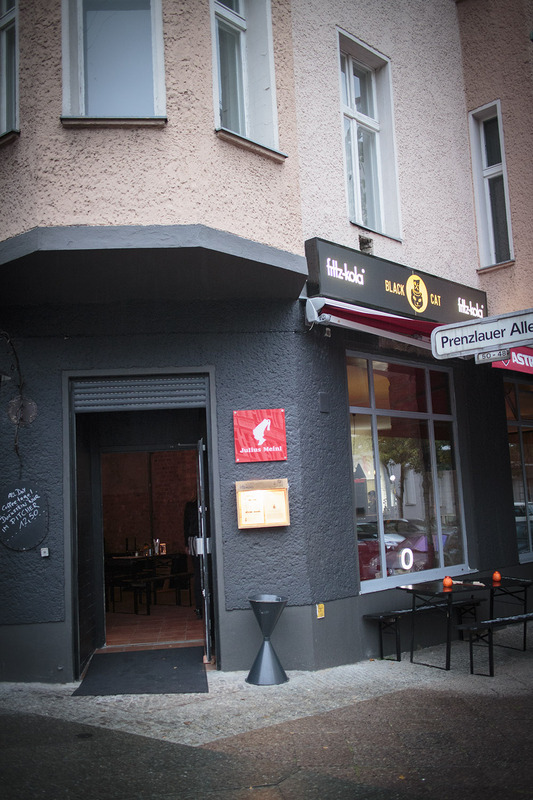 In conclusion, if you’re at Potsdammer Platz and are looking for a local meal option, it is worth a visit (there is practically nothing else nearby that I would consider safe). Although this is the kind of place where you take the gluten free aspect of the food into your own hands, I wouldn’t rely on the staff alone. It’s probably worth trying to avoid the rush around 12 to 1 too. They are open every day 11am until 7pm, take note, they are CLOSED in the evening. Some time ago I had a thought in my brain box, a thought which I first believed to be quite simple. Why can’t it be easier for me to travel around the world and find out where I can eat? Surely you just have a website listing all the places that are Gluten Free right? Is it that difficult to do? So, irritated that that things were not the way I wanted them to be, I embarked upon teaching myself web development and set about building a solution to this problem. Along the way, I realised there are a few more problems that were irritating me (not that I get irritated often). 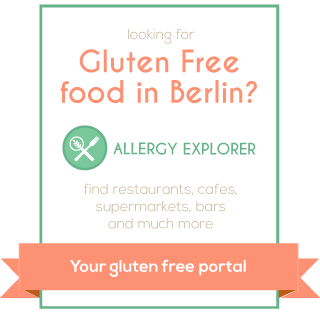 How about when a new Gluten Free restaurant opens here in Berlin and I only find out about it 6 months later? How terrible is that! A whole 6 months I could have been stuffing my face and I didn’t even know it was there! Nightmare. Then, what happens when the kind folks at Dr Schär release a tasty new bread? At the moment, the only way I can find out about this is by memorising their entire range and then, when I’m out bumbling around in gluten free shops, hope that I notice the new package. The result of all this irritation, pondering, problem solving and fiendish amounts of hard work is Allergy Explorer. My little digital baby that I am giving a (slightly premature) birth today. The basic idea is that anybody can list a new business on the site, restaurants, cafes, shops, bakeries etc. Then, as a community, we can visit, check the food out and then ‘Confirm’ the place as actually being gluten free. I don’t know about you, but I’d certainly feel happier about eating in a restaurant that 40 other gluten affiliated people have already eaten in. It’s preferable to just trusting that the staff do actually know what they’re talking about. While the site is still a little baby and is a little rough around the edges, I’m only launching for Germany here on this blog. We’re eventually going to expand to cover all of Europe, USA and other countries with multiple languages. Imagine that, being able to get on a plane and know exactly where you can eat without spending days and days researching! My hope is that you will all be able to help me build up a community, use the site, post a few reviews for places you have been and, if you’re feeling generous, post a little feedback. 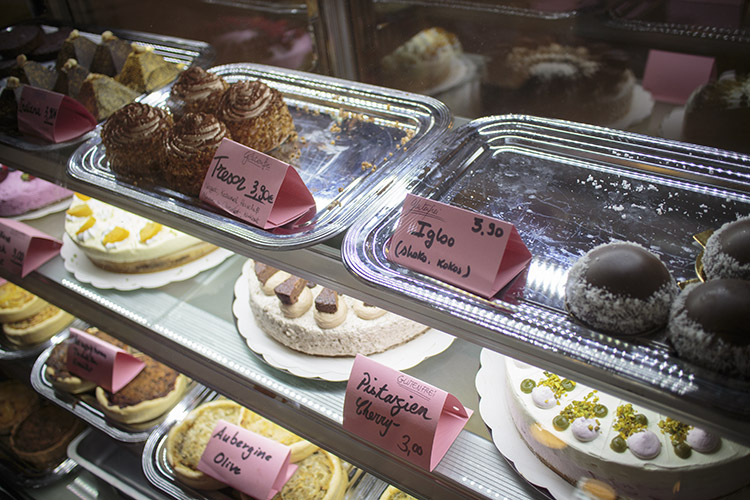 Cafe Tayas – Gluten Free cakes are listed as available on their facebook page. 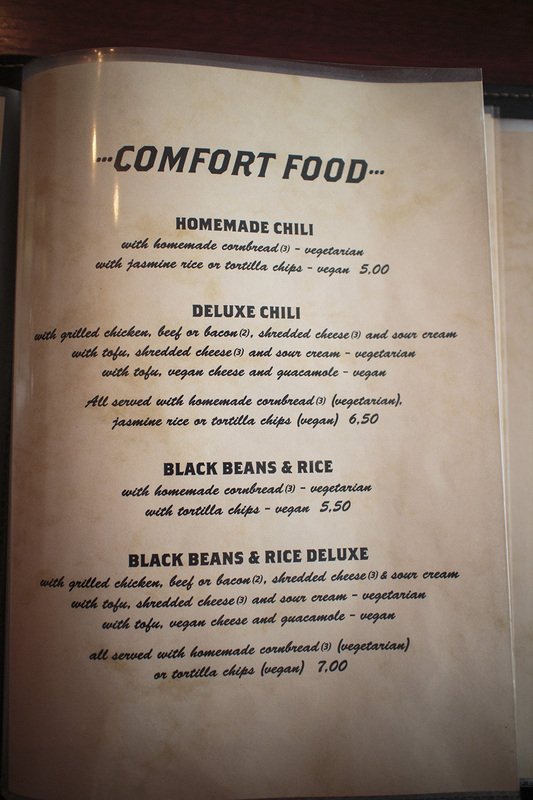 Dean and David – The list on their menu which items have gluten and lactose. Chén Chè Tea House – Nothing listed on their site but I’ve had a few tips that they can accommodate us gluten free types. Steinecke – If you haven’t managed to see all of their posters and flyers, they’re now offering gluten free bread. Although you have to order fairly far in advance. Burrito Baby – They can make their meals gluten free, but their gluten free burritos come in a kind of ‘assemble yourself’ way. 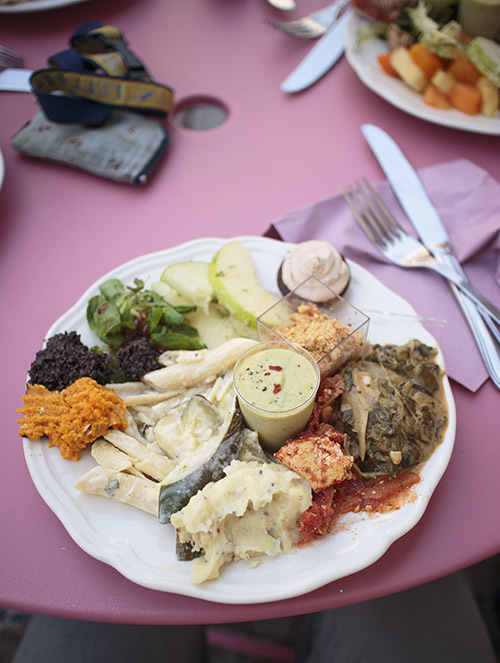 TV Tower Restaurant Alexanderplatz – They list on their menu which items are gluten free and lactose free. 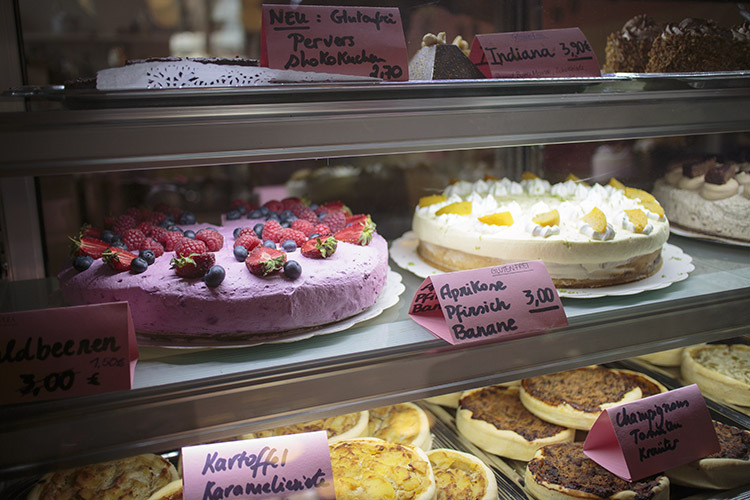 Tassen Kuchen – They have been known to offer gluten free pancakes on the weekend, check before visiting though. Chay Viet – Had a tip that their menu lists what is gluten free. 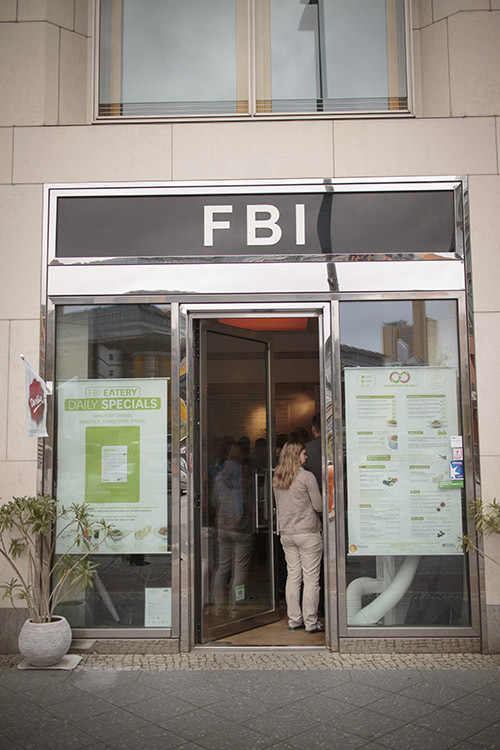 FBI Eatery – They list on their menu what is gluten free and lactose free. 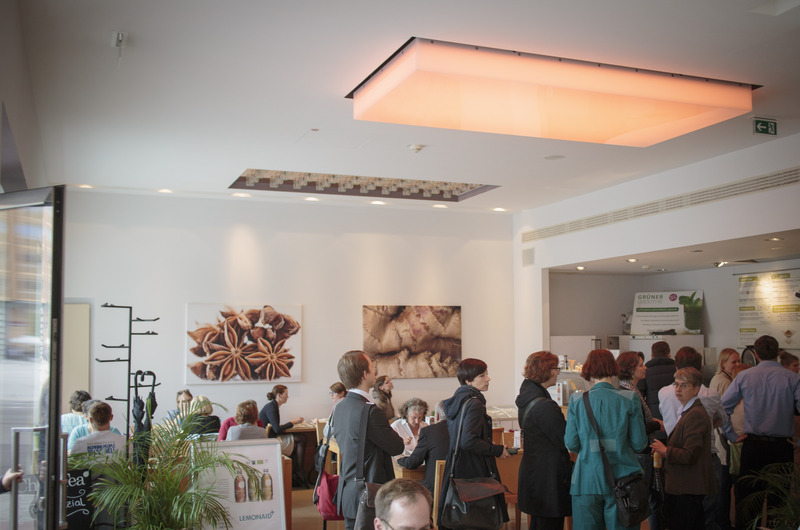 ErsteSahne Otivm – Had a tip that their ice cream and semifreddi is gluten free. Mio Matto – Vegan restaurant that has gluten free Pizza also, above the Veganz supermarket. Being English and having suffered from a stereotypical ‘scoffing at all things French’ upbringing, I don’t think I’d ever even heard of a galette until I found out that I was Gluten Intolerant. 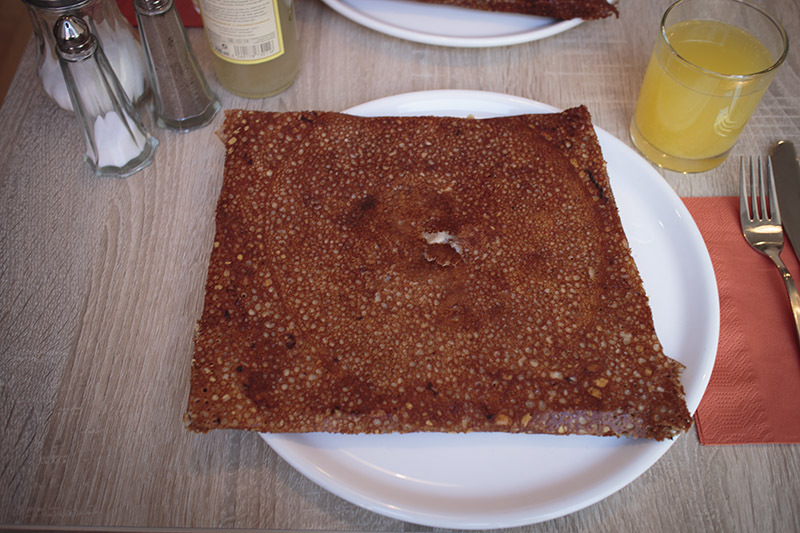 I had assumed that all things crepe like were made from wheat flour, that’s what europe uses in everything right? Well, nope. Turns out galettes are usually naturally gluten free from Buckwheat flour (I’m sure there are many crappy version with a buckwheat/actual wheat combo though) so it’s only the cross contamination you have to worry about. So, when I heard a new galette place had opened nearby and that their menu actually mentions the gluten free-ness of their galettes, I was very happy and rushed round. 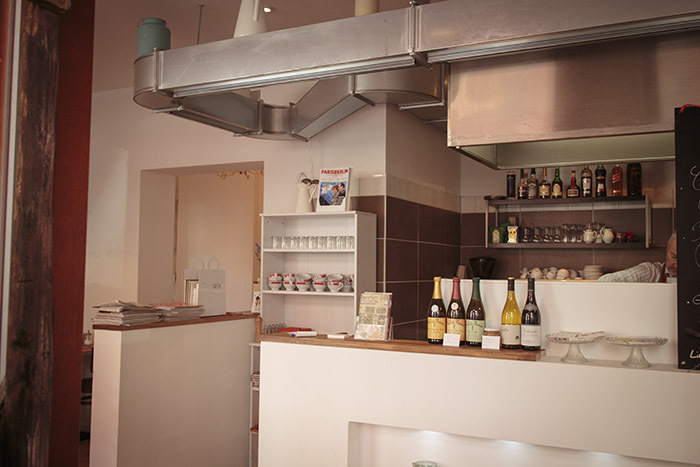 The place is nice and perfectly French enough, just look at the menu. C’est magnifique! 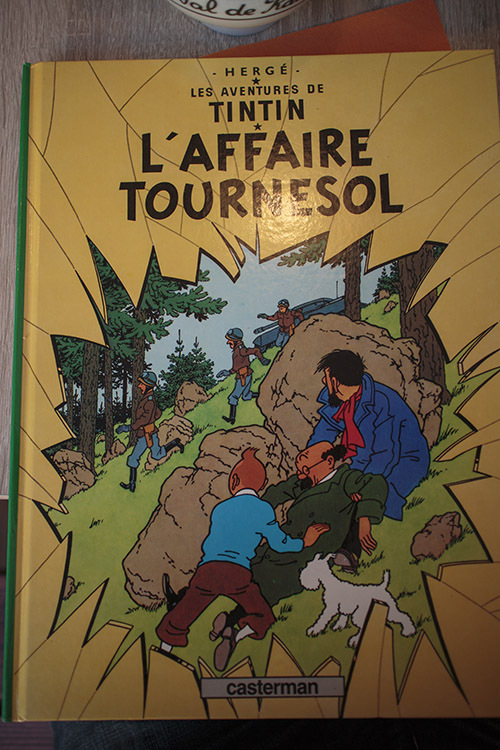 Well, yes, that is a Tintin book, but the menu is inside there. Trust me. Look, there it is! With it’s own little glutenfrei logo in the top right. I’ve been there a few times now and I honestly can’t remember which particular delight this one was, but I can definitely remember that it was rather delicious. I’ve had a few galettes over the past few years and this was easily my favourite, it’s just so crispy and crunchy! 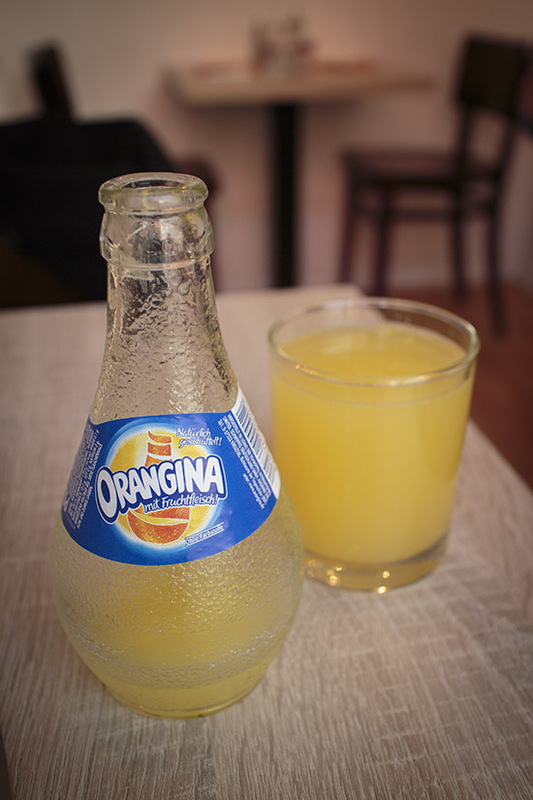 I was getting into the whole French mood so I ordered this too. Although there is also gluten free cider available. Look, there it is in some bottles, just sitting on a shelf for all to see. The street that it is on is pretty nice for a walk down. There’s even a Macaroon shop, a little further towards Eberswalder Str U-Bahn, called Mon Plaisir with gluten free macaroons and cookies! In conclusion, go for a lunch, it’s good. Nothing more. I am sometimes surprised by how long I’ve been doing this blog, what seems to be a year or two in my head quickly turns into 3 or 4 when I check in with reality, must be the old age creeping up. The good side of all this time passing by though, is that I get to see the truly good Gluten Free places here thrive and grow. 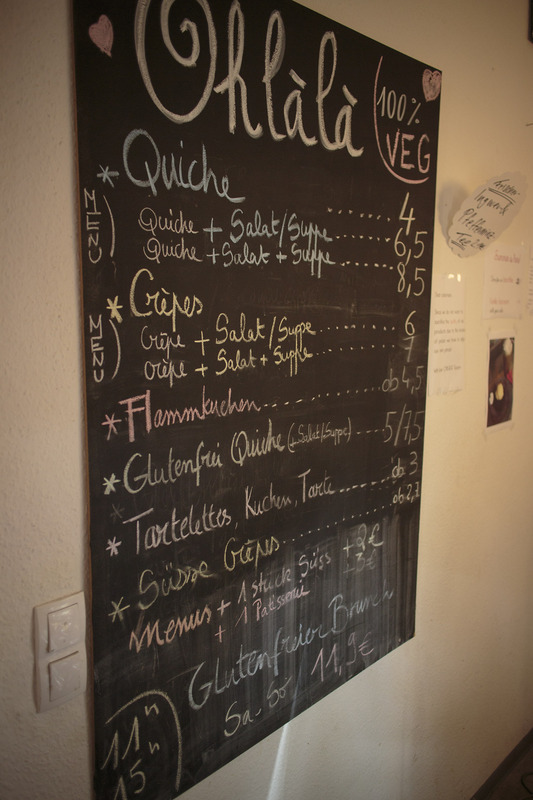 A little around 3 of those short seeming years ago I reviewed Sauvage in Neuköln, expressing my surprise that they were actually gluten free. At the time I think the owners were also a little surprised to find out they were the only completely gluten free restaurant in the whole city, hence why back then, they thought it not important to mention it on their website. Thankfully for us, 3 years later, the restaurant is a rather huge success in both the ‘regular person’ and Paleo diet world, meaning the gluten afflicted world gets to enjoy some good high end cuisine. 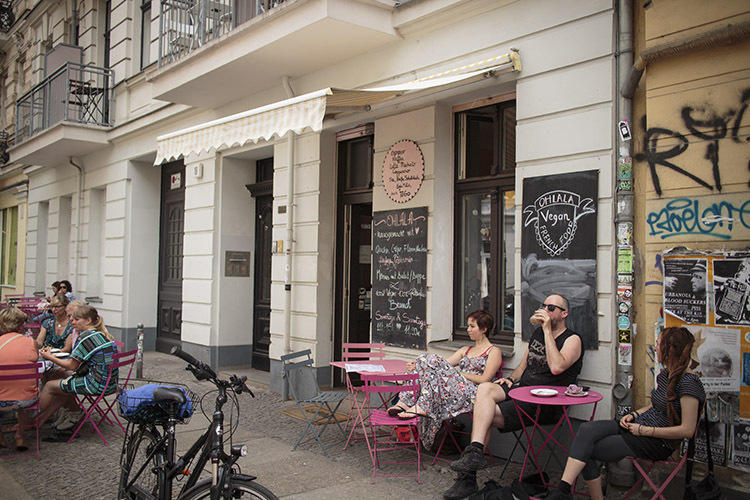 Imagine my joy then, when they opened a second location in Prenzlauer Berg. Plus, they’ve embraced their gluten free-ness with abandon and gluten free icons on their website. Happiness. Another surprise is the benefits that doing this website occasionally affords me, the odd sample of products from Schär and such or the odd offer of a free slice of cake. 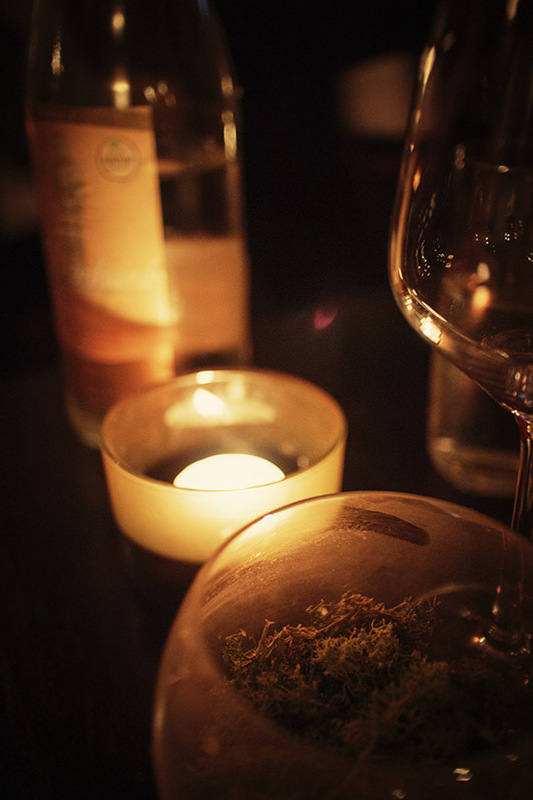 This time however, I was invited for a complimentary meal at Sauvage. Normally, I would be worried this would affect the outcome of my review and I would not partake. 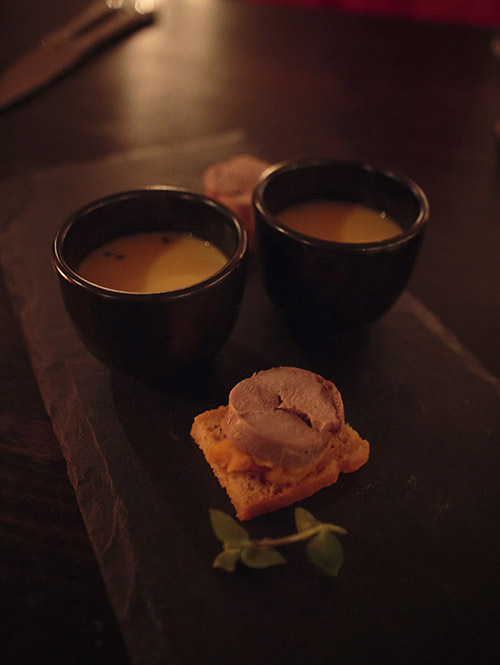 Fortunately though, having been there a few times over the years, I knew the food at Sauvage would be rather good. First off, the decor. 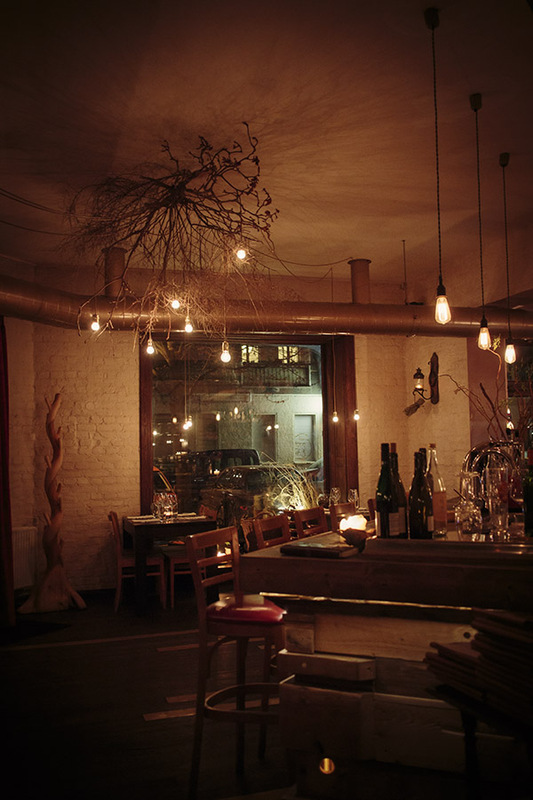 I am a big fan of the cave/rustic theme of the Neuköln restaurant and this new place does not disappoint. I do so love the twiggy lamp/light things on the ceiling. Earth and Warmth is definitely the theme. The second thing I noticed on my wander around is that the restaurant also has a mini shop and just look at what they are selling! Paleo Gluten Free bread! Now, yes, you may see that it costs €6.80 and think to yourself “oh my, that is a little steep” and you would be right. It is expensive. But there is one thing that is always worth paying for. Expertise, quality and especially with gluten free products, taste. So, I think you can guess my opinion of this bread, but I’m going to make you wait a little for me to say it. First it’s time for the meal. The initial mini-starter was this. I’m not 100% sure exactly what it was, I was revelling in the fact that I did not have to ask what all of the ingredients in the dish were and forgot to inquire. But it was rather delicious indeed. Then came the cocktails. Not that most cocktails have gluten in them, or that my drink order really belongs in a gluten free review, but they look good and they tasted great. So that means I get to show them to you. 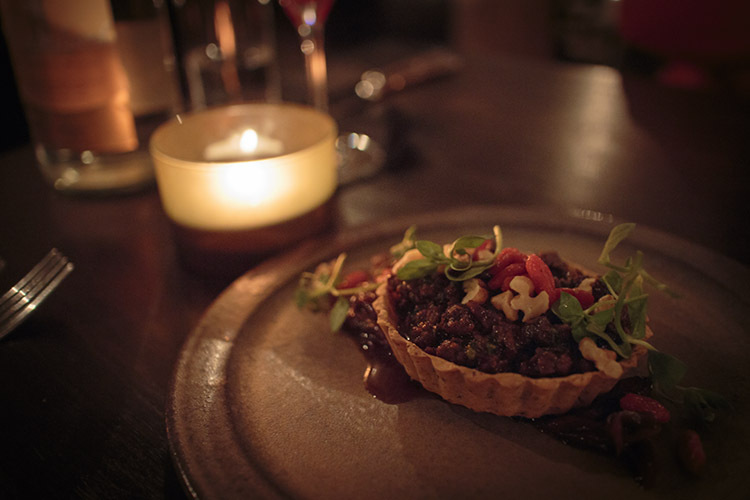 Beef with nuts and berries in a small crumbly tarte base. It was absolutely amazing, really, amazing. Shortly after, with a satisfied grin still on my face, the main meals arrived. 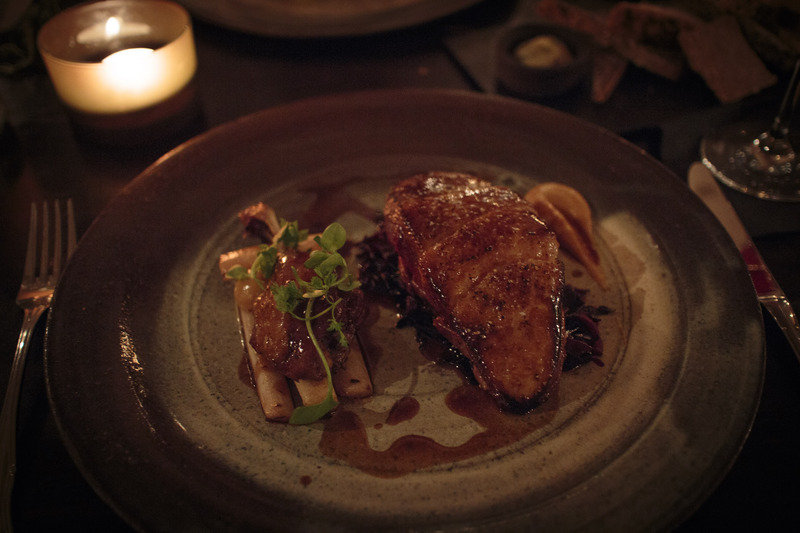 I had myself duck with ‘pan fried salsify, braised red cabbage and quince, turmeric quince purée and orange jus’. Yes, it was every bit as delicious as that sounds, even if I don’t know what some of those things may be. 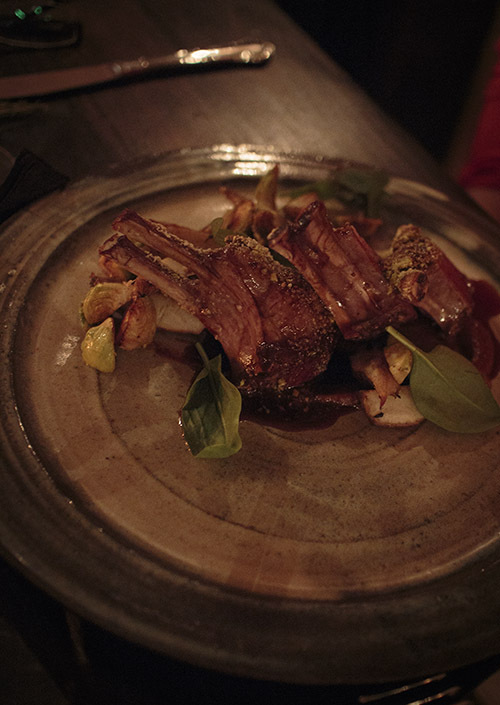 My partner had ‘Lamb carré with a pistachio-thyme crust, pan-fried brussel sprouts, a sunchoke sun-dried tomato creme, and cumin jus’. Again, just ridiculous. To add to this feast, some gluten free bread was also placed on our table. Leaving me with a giant nightmare of what to eat first. The bread of course! It was amazing. 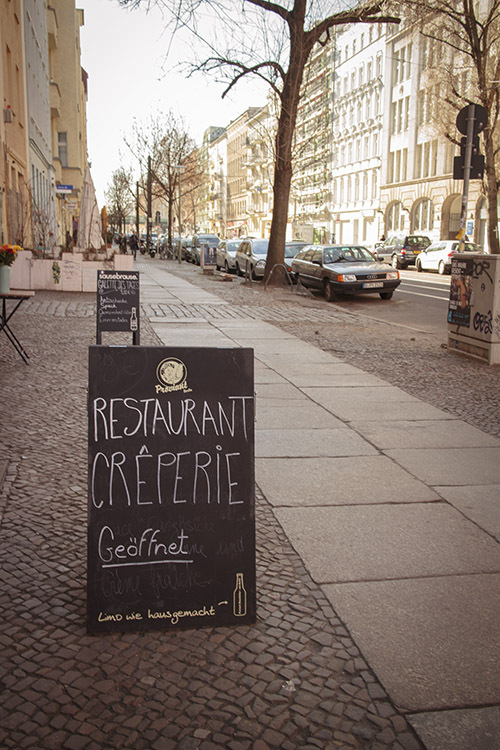 By far the best gluten free bread I’ve had in Berlin. Well, maybe not for a sandwich, this is the type of bread you eat on it’s own with a little something spread on top. It’s not to be used as a container for other tasty things, it is the tasty thing. 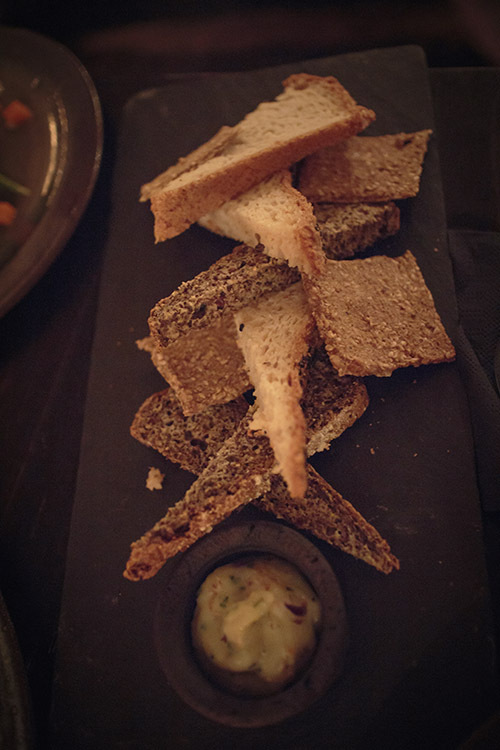 The flavours in the bread, especially the darker of the two, were a welcome refresh from the blandness of my bread based life here. You should definitely buy a loaf to take away with you. Now, you may be thinking to yourself, ‘my that is a lot of food, I bet you were giddy, very full and definitely satisfied without a chance of eating anything more’, and you’d be right. I was all those things, especially full. But, when you are in a restaurant where you can eat absolutely everything on the menu, you go a little crazy. So a short while later, this arrived. 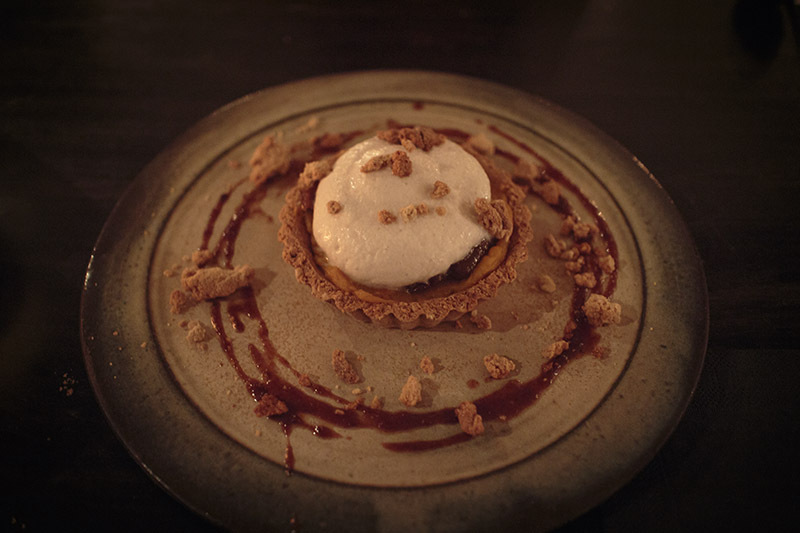 A small pumpkin tarte. The contents were delicious, and here is where my only complaint of the whole meal is. The crust was a little tough to get through, but ultimately worth the effort. After the meal, as I wobbled out towards the door, this lovely sign caught my attention. Check that, a completely gluten free brunch that is on every sunday!! 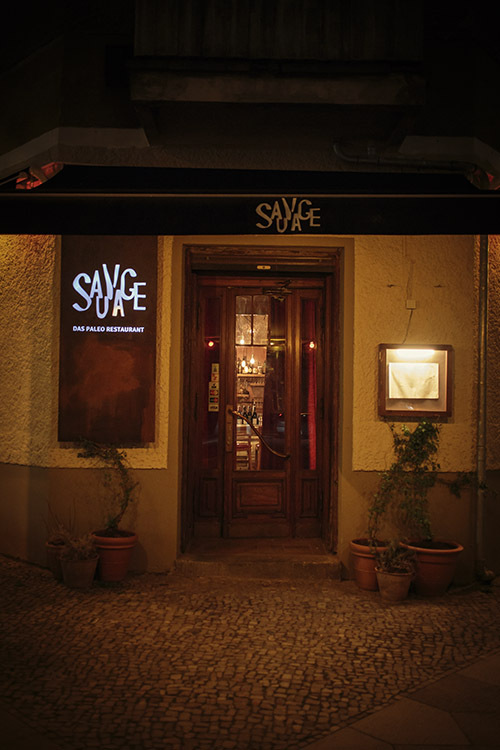 In conclusion, Sauvage continues to be THE best Gluten Free food and experience you can have in Berlin. There simply are no other completely gluten free restaurants to start with, combine this with good food and you need to be there now. But, stop, put down your coat and shoes, before you do go there is one downside. 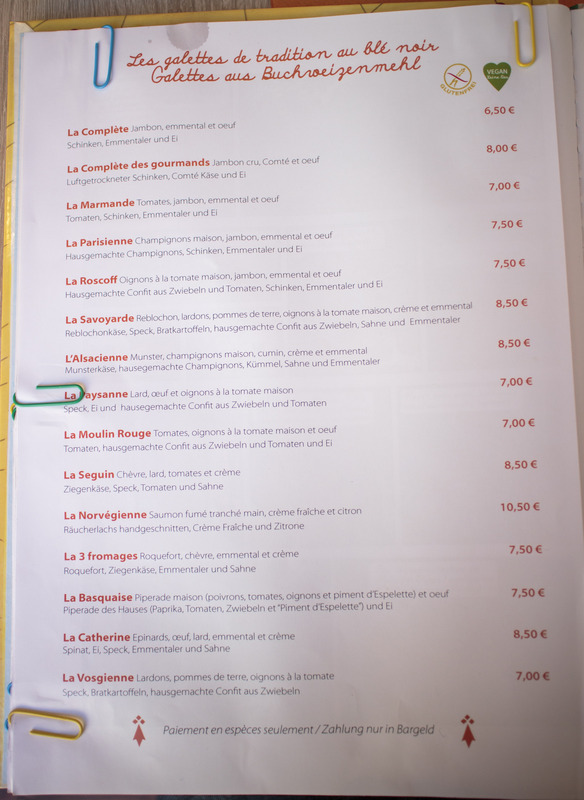 The place is rather expensive, the main meals can reach over €30 each. All this means though is that it is not a place to visit every week to have an evening meal, it’s a special place to visit and pretend you live in a world where you can eat whatever you want. It is worth every penny that you spend there. 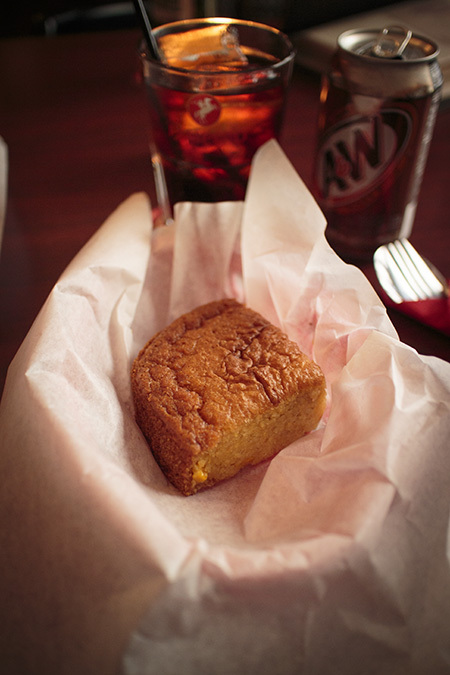 Update 04 November 2013 – Their cornbread is no longer Gluten Free. 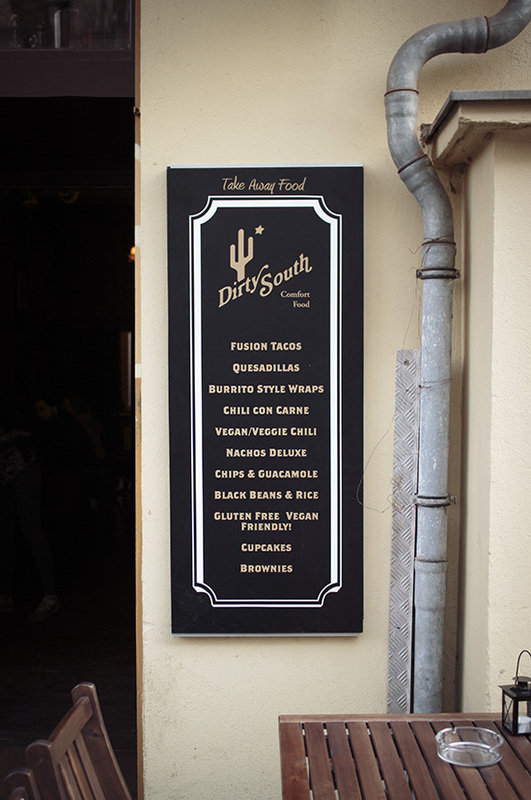 Update 15 September 2014 – Unfortunately Dirty South has closed, they have been replaced with a Mexican restaurant but at the moment it’s not clear if they will offer gluten free food. There is one thing I definitely miss from my Gluten days, which is being out, having a few drinks and just wandering into somewhere to have a good ol’ drunken snack. It’s near impossible to do gluten free here, unless you count a bag of carefully selected erdnuss flips from the local späti. 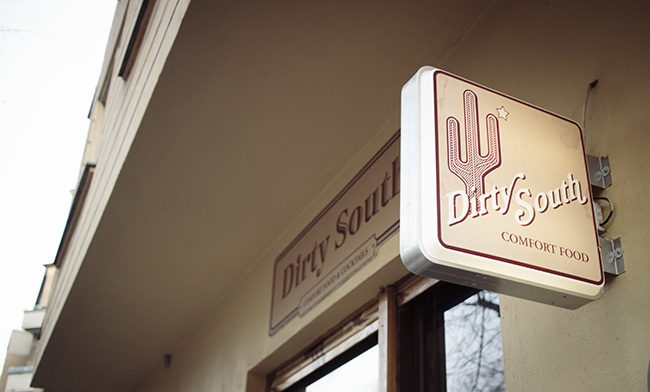 So when I first walked past Dirty South, not long after it had opened, I was rather excited. A restaurant which serves tacos and comfort food, has booze and had taken the time to actually write that they are gluten free friendly on their sign outside!! Although, it still confuses me a bit as to why people join Vegan and Gluten Free together, but, nevermind, I’m quite happy enough to see Gluten Free get a mention. So, I endeavoured to visit and consume. I tried twice, only to find them closed during their listed open hours! What with not being able to eat a full meal anywhere else nearby, it meant a 30 minute journey back home to cook and eat, quite frustrating indeed. I dropped by a third time to just check out their menu, having already eaten elsewhere and was greeted by a staff member who had no idea what gluten free even was, I was a little dismayed. But, I persisted, and on my fourth try, I found them open and a (mostly) knowledgeable staff member, joy! I have since visited a few times and have had no issue with them being open, I’m guessing it was a little early teething problem, the staff though, is another issue. The place itself is a nice and a little themed, glorious and all ‘American’ to my European eyes with a complete lack of the useless tack that you get in other American places here (think neon signs). 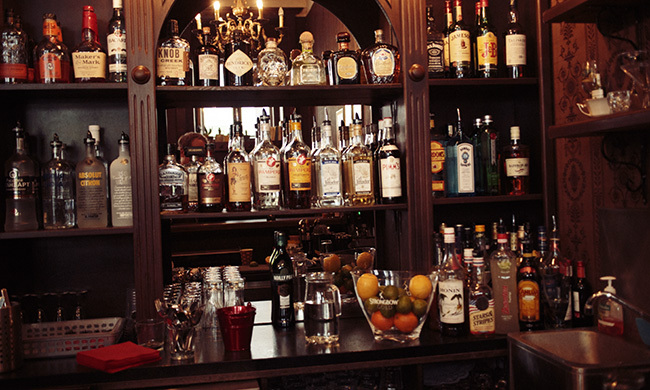 Plus, they have quite a nice selection of alcohols behind the bar and American beers (although the glutenfrei options are German). But, this is not why I was visiting. Food was to be consumed! I opened the menu, wondering at just what delights I could eat! Comfort foods, sounds good, but no sign of anything gluten free, next page. 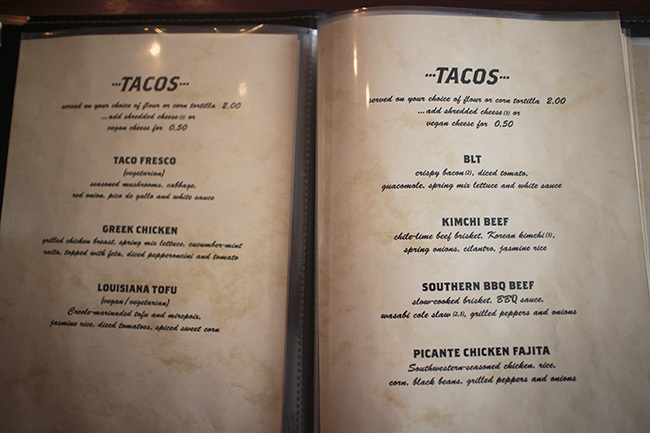 Tacos sound great also, but, again, no mention of gluten free. Odd. It was at this point that I called over the server and inquired, she went away and checked with the kitchen and was able to list off what was and what was not gluten free, although further questions needed additional visits to the kitchen. To say it was a little confusing would be an understatement. I have since been back a couple of times and have met the same issue, the staff seem to have not been trained as to what gluten free really is and give the impression that they are not 100% sure what is and what is not gluten free on the menu. I think this is down to a confusion between ‘may contain traces of’ and ‘completely gluten free’, but either way, it does not fill you with any confidence when ordering. Thankfully, it’s not that they do not care and you will get to order gluten free food, it’s just the process is far more difficult and worrying than it should be. Now, it’s not that I don’t have to go through this kind of hassle in a regular restaurant, but for a place that offers specifically gluten free items, to not have them at least marked on the menu and have your staff trained seems rather odd indeed. The next time I visit I’m tempted to take along a little packet of sticky red dots to put next to each gluten free item. 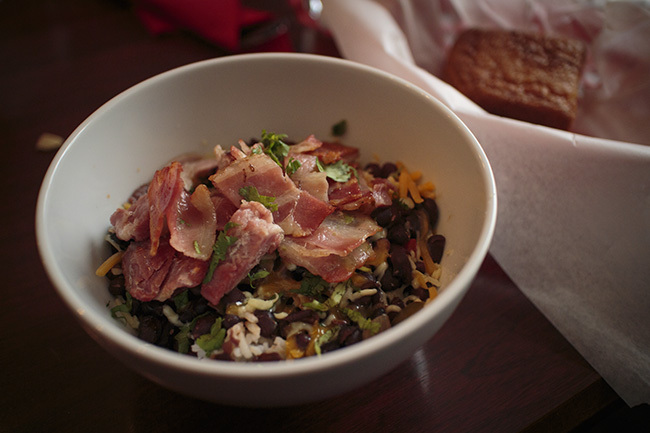 But, after being reassured that the kitchen is well aware of gluten and they know what they’re doing, I ordered myself a Black Beans & Rice Deluxe with Bacon and Cornbread. Plus, as I was in an American place, this little can of high fructose corn syrupy joy. 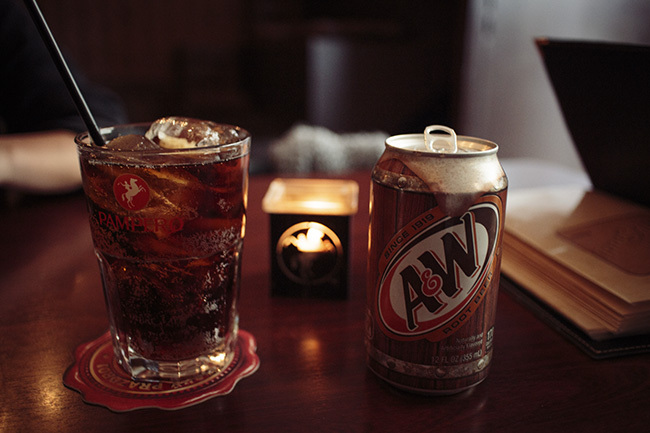 I don’t care what people say, root beer is delicious. Then this arrived, causing homer-esque “mmmm, bacon”s in my brain. And just look at this golden brick of gluten free lovelyness. It was rather good and, even with the bacon of the main dish, I think the cornbread was my favourite. Although that may be because I was actually eating bread with my meal in a restaurant, rare. On my second successful visit, I ordered the beef version of the dish above. It was far better and I would highly recommend giving it a try. The only downside was that, at least on my visit, there were no gluten free desserts as such, but here’s hoping that they change that. In conclusion, forgive their little oddities, it may be disconcerting and a bit of pain to order but they are slowly getting better with the knowledge and ability to advise. 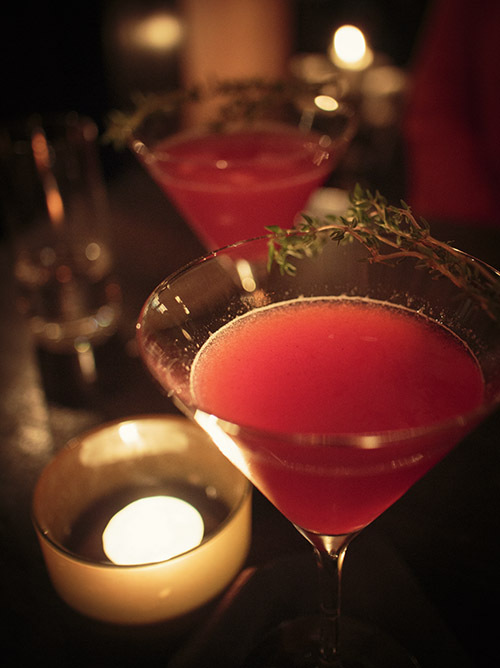 Just focus on the fact that the food is good and they serve cocktails. What more could you want.